Well I have completed my studies at Mercyhurst University one semester early. Since it is a small school and I always lived on campus, I did not share the name while I was going there. Never heard of Mercyhurst? Not many people outside the area have. 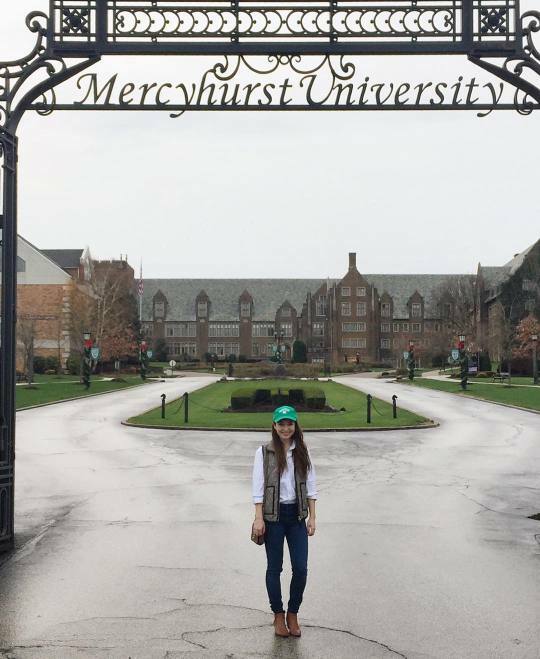 Mercyhurst University is a small, liberal arts, catholic college in Erie, Pennsylvania. Most of the students are from the Pittsburgh, Buffalo, and Cleveland areas. However, the dance, intelligence, and archaeology programs, and some of our sports teams bring in students from everywhere else, from far away states and even farther away countries. from the Dance Department calendar photo shoot my freshman year I originally chose to go to Mercyhurst because the dance program. I spent all of my school years training in ballet and I thought I would double major in dance and business. I hoped to dance in a small ballet company and pursue business when I couldn't dance anymore. About halfway through my freshman year, I realized that my passion for ballet wasn't all there anymore. I also got a stress fracture in my spine, so it was also causing a lot of pain. Now it's fine, but dancing just isn't the same. I dropped to a dance minor and changed my major to Arts Management so I could work on the administrative side of the arts. I still loved ballet, I just knew that I couldn't keep doing it to pursue it as a career. Although I dropped the major, I was still involved in the dance department until the end of my junior year, with the exception of taking a semester off when I was injured. I met so many wonderful people through that department and I am going to miss them all so much. I met my best friend Hannah through the dance department, we lived together for sophomore, junior, and this half of senior year. 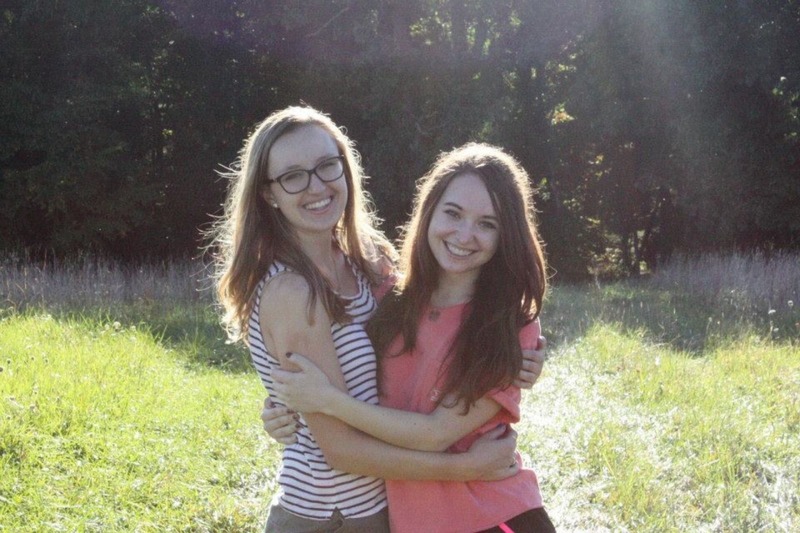 I'm not quite sure how I'm going to live without her just yet! 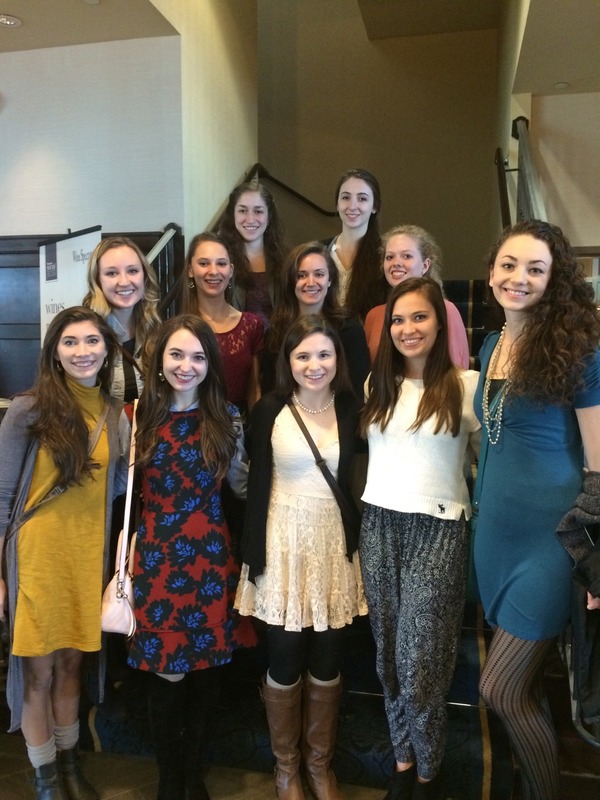 We had a lovely little brunch with our class of dancers a few weeks ago for the end of the semester. I also met a lot of great people outside of the dance department. I actually met almost all of them in the lobby of my freshman dorm. We all stayed friends for just about the whole college experience. Honestly the only photos I have with most of them are large group selfies though. Since Mercyhurst is not that large of a school, I won't have a graduation ceremony until May with the rest of my class. And I finished a semester early because we were on the trimester schedule my freshman year, and I usually took close to the full load with 15-18 credits each semester. 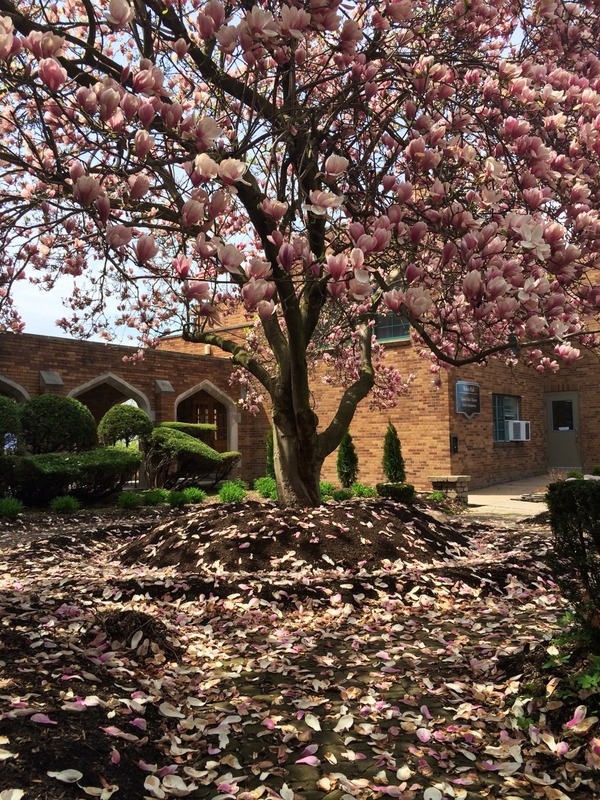 I'm so excited to come back in the spring for the ceremony, it is always so beautiful there when the snow finally melts and the flowers start to bloom. The first day we got snow last year, we got about 13 inches in one day. And it was the first day I learned how to drive in snow... However, I am so excited to be home in North Carolina for the winter. 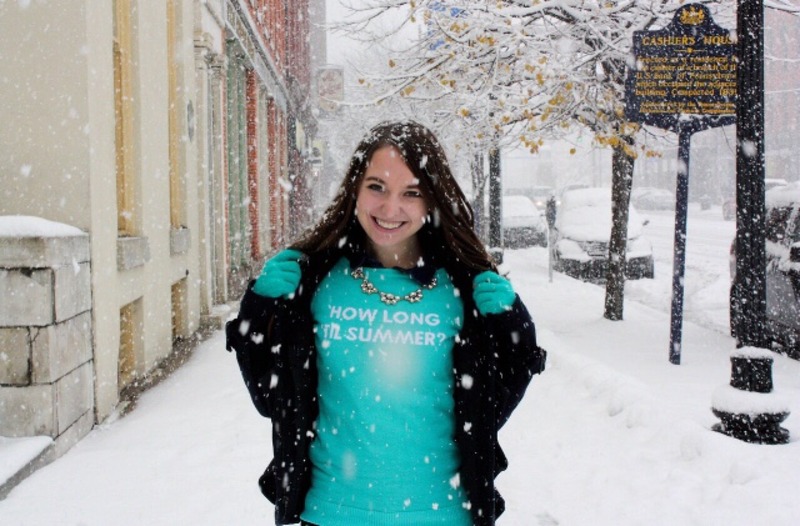 Erie, PA was the snowiest city in the country in 2014, and in 2015 we got almost as much snow as Boston did. It was just more spread out and some melted, so it wasn't as drastic. We called it SibERIEa sometimes. Mercyhurst is beautiful in the snow, but it is just so cold and I just never really adjusted to it. Except for this last semester, the snow usually started in November and didn't stop until April. We actually had some beautiful weather for almost the whole semester this year though! We only got about an inch of snow a few weeks ago, that was gone within a few hours! November of my junior year I think the coldest I ever experienced was -17 degrees with a windchill of something like -36. 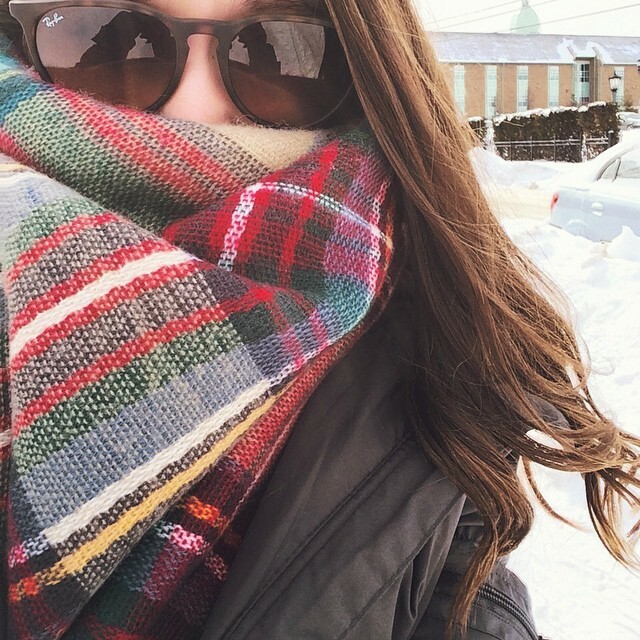 I walked around with blanket scarves around my face like this and the hood to this giant coat up when it was snowing for most of January-March. It was definitely an experience I would not have gotten anywhere else! via Mercyhurst's Pinterest I had a really great experience in the last 3 and half years here. I'm going to really miss my friends, this beautiful campus, and of course the whole college lifestyle. But I am excited to start the next chapter in my life. I'm not quite sure what I'm going to do with it yet, but I know it will be very nice to not be spending most of my time studying, writing papers, and going to class. For now I'm going to enjoy the holidays, work part time at home, and see where life takes me. Thanks for reading! 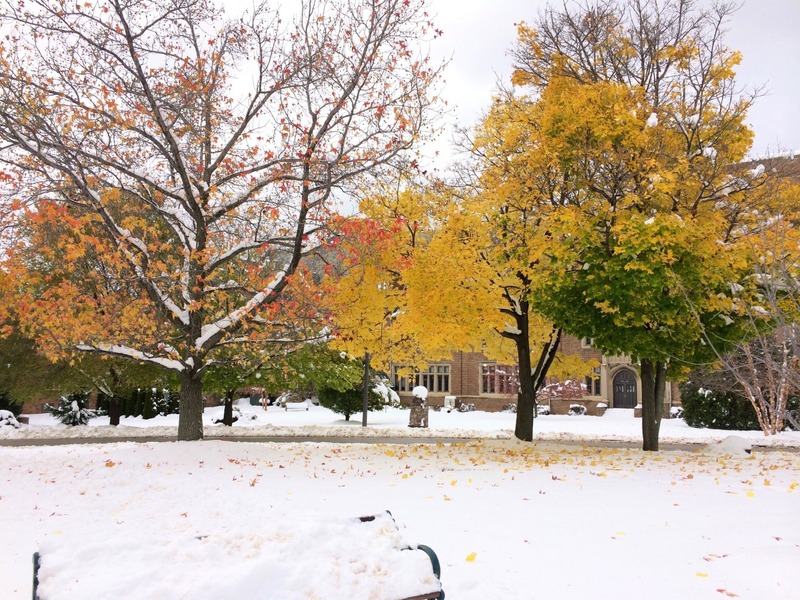 Mercyhurst looks beautiful in the snow! Congratulations on graduating! Woohoo! Congrats on graduating girl! I'm sorry to hear about your spine, I grew up dancing as well and didn't know what I would do if I had an injury. /: I'm glad to hear that you are ok and I also loved seeing pictures of your school! It's beautiful! Congratulations Graduate! 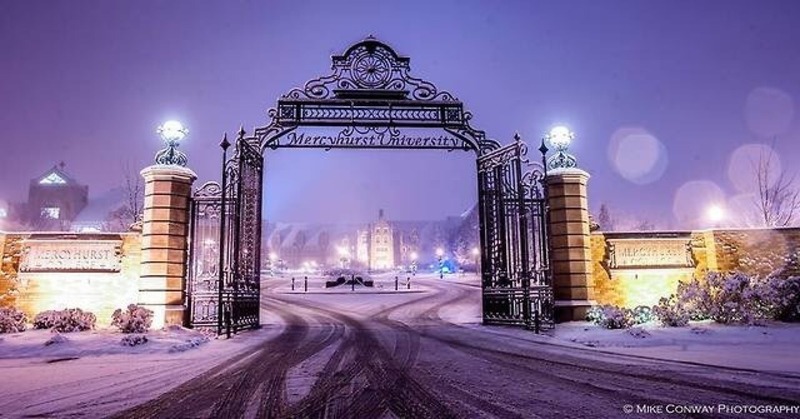 Mercyhurst looks like a phenomenal school and a pretty school too! So glad you went to college in the north- if you can get past the snow, we're actually a very pretty place! Good luck to you and your future! You're going to go far! Congrats Cara! I always wondered where you went to college and I love your little recap of your 3 and a half years there! Congrats! I used to live in Philadelphia so I totally understand how bad it could get in the winter. One year I had a snow storm on my birthday! Good luck on your post grad life and I hope you find an amazing job!